How Far is Life Vishwa Highlands? Vishwa Highlands is a Life Group project located at sector 9, Kamothe, just 1.5 kms from Khandeshwar Railway Station. 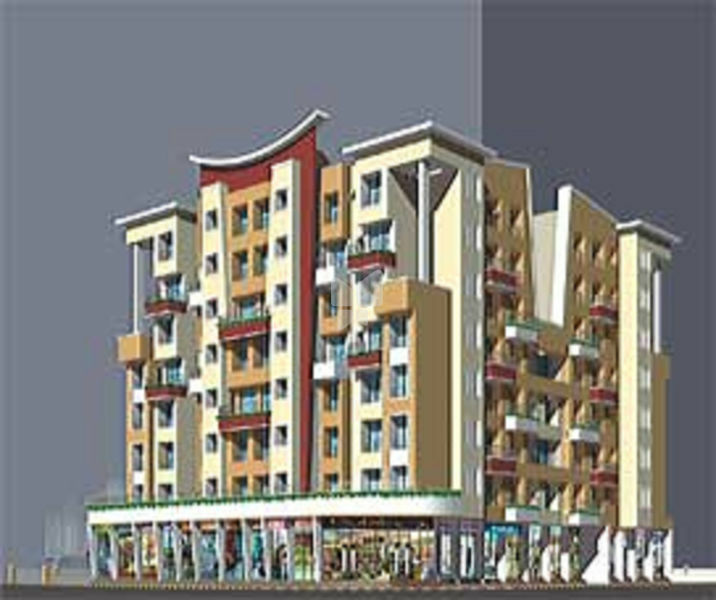 The project offers 2BHKs, 3BHKs and showrooms at ground level. The neighbourhood is well-facilitated by Garware School, New English School, Saksham Mega Store, Canara Bank, Union Bank of India, Aishwarya Hotel and a Shiv temple. Structure: RCC frame, earthquake resistant structure. Door Frames: Laminated marine ply doorframes. Marble door frames for toilets. Provision for fixing safety door to entrance door frame. Doors: Moulded panelled main door with quality brass fittings. Other flush doors with oil paint finish. Windows: Powder coated aluminum sliding windows. Flooring: 2X2 Joint free tile flooring in all rooms. Toilets: Concealed plumbing and coloured glazed tile dado. Quality bath and sanitary fittings. Electrical: Concealed electrification with modular switches. Television and telephone points in living room. Plastering: Internal surfaces with wall putty or Plaster of Paris. Sand faced plaster for external surfaces. Painting: Quality acrylic paint for external surfaces. Oil bound distemper for internal surfaces.